We’re trying to figure out what the final roof line will look like in this expansion in McNeil. You can see the original pitched roof home hiding under the new front additions. 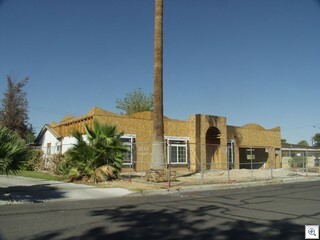 I can’t figure out if it’s going to be a Sante Fe Hacienda, or a mansard of sorts. The triangular corners and the arched projections over the roof line are unique. The corners could make it look Tiki, but who knows. If you want to follow along as it progresses, it’s on LLewellen Circle, one of the McNeil Cul-de-sacs off Rancho, north of Oakey.